“Well begun is half done”. Day 1 of Sivaranjani 2018, etched unforgettable memories. With the sunrise bringing high hopes, the energy levels were at the peak on day 2. How beautiful the morning air was! The morning events made the day even more beautiful. The rolling events commenced on our MIT Road which was conducted by Tamil Mandram. 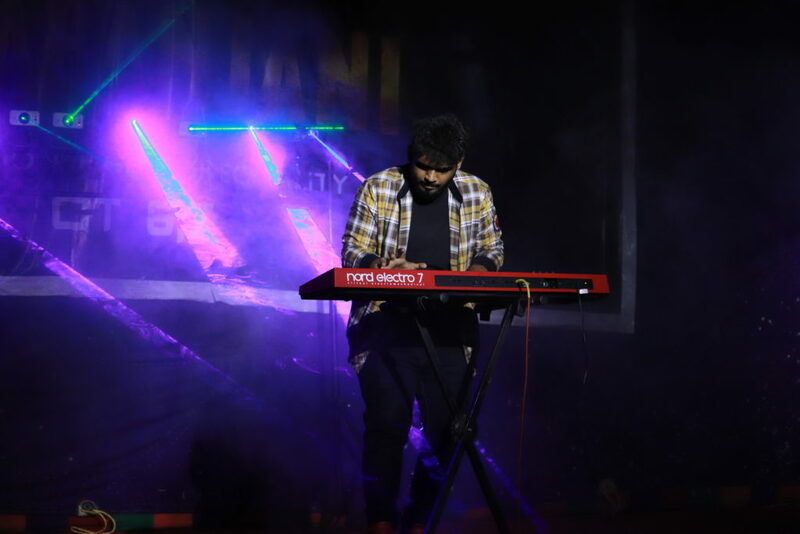 The informal stage brought out the innate talents of the students through the preliminary rounds of the title event “Mr and Ms Sivaranjani 2018”. The active participation of students made it more successful. Simultaneously, competitions such as Essay writing, Poem and story writing were conducted along with the final round of Treasure Hunt. Vijay TV Super singer fame Senthil Ganesh and his wife Rajalakshmi turned up and created a sweet beginning with their gorgeous singing. The informals continued till afternoon. Late in the afternoon, students actively engaged themselves in the debate titled “Can gender equality bring about a change in the society?” where they disclosed their ideas and opinions which made the debate more robust. The day was about to end and darkness crept in. The evenings are always special. Crowds gathered in huge numbers in the hangar. The programme started with with the final rounds of the title event. The program was hosted by the team from Masala Mafia. The winners were honoured. This was followed by the performance of Sreekanth and Allan Preetham. The alluring and intriguing performance won the hearts of students. Sreekanth’s dulcet voice and elegant cover by Allan Preetham filled the air with magic. Actor Prasanth, along with the crew members, launched the teaser of his upcoming movie Johnny. Trailers of various short films by our students were also launched. It was followed with dance performances by students. A special host performance by the final year students was also a part of it. Can a fest end without a DJ Nite? 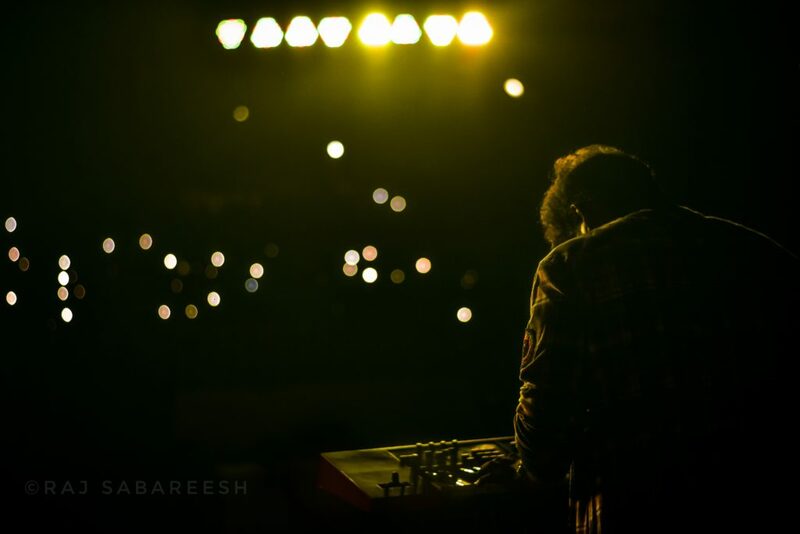 The fest came to end with a DJ, making the students shout, scream and dance their hearts out in joy. “Things End But Memories last forever”. Sivaranjani never failed to entertain, with its evergreen memories which last forever. 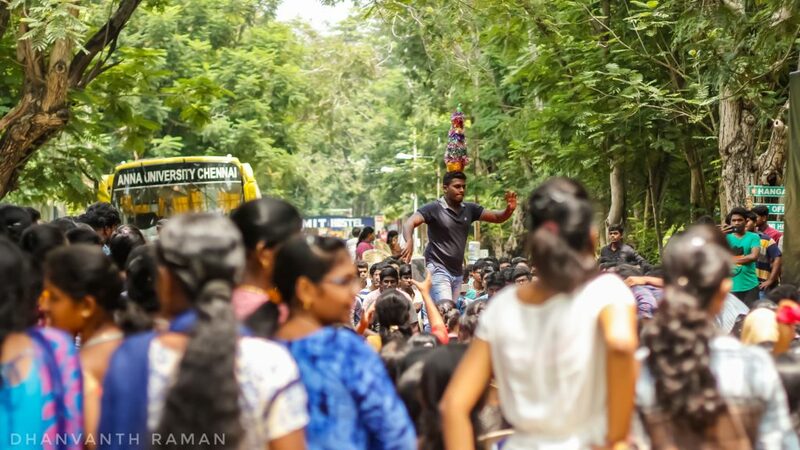 Photgraphed by: Rajsabareesh, Second year Aeronautical, Bharathwaj, Second year Aeronautical, Harie, Second year IT, Arunachalam, Second year, RPT, Keerthivasan, Third year Automobile and Dhanvanth, Final year Automobile. This entry was posted in An MITian's voice, Campus, Campus events, Report. Bookmark the permalink.